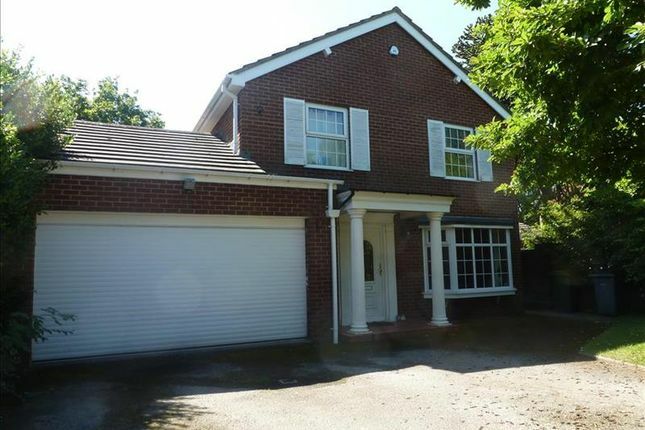 Brought to the market by Jones and Chapman is this extremely well presented Four bedroom detached property, ideally situated within a much sought after residential location. This property offers everything the discerning buyer could possibly need. A viewing is highly recommended. Jones and Chapman are proud to bring to the market this well presented four bedroom detached house ideally situated in a much sought after residential location and also benefiting from having excellent transport links. Having double glazing and gas central heating throughout; the property offers superb accommodation with a good size lounge, dining room, kitchen, study room, utility room and a downstairs w/c. To the first floor there are four bedrooms, with the master benefiting from an en-suite and a bathroom. To the rear of the property there is a good sized private sunny garden and to the front after driving through the electronic double iron gates there is a driveway leading to a double garage that is currently used a gym.. Viewing is essential to fully appreciate everything that this property has to offer. With double glazed door to the front, tiled floor and double doors into entrance hall. With WC, wash hand-basin, towel radiator, double glazed window to the side and fully tiled walls and floor. With double glazed bay window to the front, radiator. Also included; fitted shelving/storage unit. With two double glazed windows to the rear, gas feature fire place, two radiators and double doors leading to the dining room. With double glazed bay window to the rear, radiator and double doors leading into the lounge. Soft close fitted kitchen comprising of; wall and complimentary base units, rolled top work surfaces with tiled splash backs, sink and drainer unit with mixer tap, space for range cooker, extractor cooker hood, integrated fridge, integrated dishwasher, tiled floor, double glazed window to the side and double glazed door to side. Comprising of wall and complimentary base unit, sink and drainer unit, space and plumbing for washing machine, space for tumble drier, rolled top work surfaces, tiled floor, double glazed window to the rear and door to the garden. With stairs leading from hallway, double glazed window to the side, double storage cupboard and loft access. With two double glazed windows to the rear and one double glazed window to the side and two radiators. The bedroom furniture is being included in the sale. Three piece bathroom suite comprising of bath with overhead shower, mixer tap and glass screen, wash hand-basin and low flush WC, shaver point, radiator and full tiling to the walls and floor. With double glazed window to the front, radiator and built in cupboard. With double glazed window to the side and radiator. Three piece suite comprising of bath with shower over, mixer tap and glass shower screen, wash hand-basin and low flush WC, shaver point, double glazed modesty window to the side, radiator and fully tiled walls and floor. Currently being used as a gym, has electricity, lights and wired for television, remote control up & over doors, door to the utility room. The property is accessed through from electronic double gates and has a mature front garden an a graveled driveway that leads though to a double garage. To the rear the property has a large sunny garden with mature borders around and enclosed behind timber fencing.